This product is a professional hearing aid. Using it can help you rediscovering the pleasure of listening to nature's sounds or talking to others. 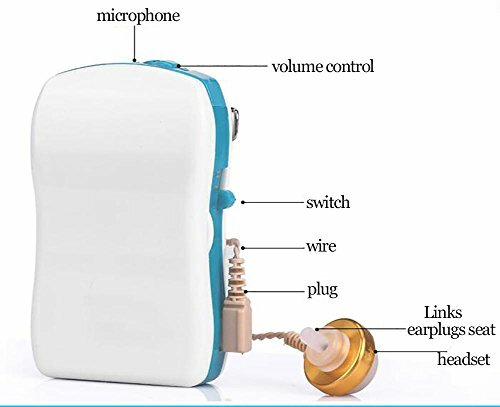 Different from the hearing aid that is ear-hook shape, this product can be fixed in your pocket, which is more convenient to control the voice volume. Why not have a look now? Suitable for people who have severe hearing impairment, especially for elderly people. O is for power off and N is for normal work mode. H can help you reduce low frequency noise, getting clearer sound. 3 different shape earplugs are provided, which can fit different people's ear. Clamp of this product helps you fix the hearing aid in your pocket. Package includes: 1 hearing aid, 1 pair of headsets, various earplugs, 1 manual. If you have any questions about this product by OPARYY, contact us by completing and submitting the form below. If you are looking for a specif part number, please include it with your message.